Wednesday Night Programs- Come join us for our meal at 5:00pm to 6:00pm and Children and Youth programs at 6:00pm. Bible Study with Pastor Kent meets at 6:00pm studying Romans. Come and be blessed and equipped! Donette Porter will lead a study of the book "Having a Mary Heart in a Martha World" on Wednesday night at 6:00pm. All ladies are invited and encouraged to attend. There are more books in the church office. PPR Meeting on Wednesday April 24th at 7:15pm. Reminders : Backpack sign up on the bulletin board. Deadline for Newsletter material is Thursday April 18th. Thank You! Maundy Thursday Communion Service 6:00pm at Stephen's Chapel in Manchester. Good Friday Communion Service here at HFUM with Youth Ministry participating. 7:00pm. Easter Egg Hunt here at our church on Good Friday at 2:00pm. Easter Sunrise Service at Prairie Plains. 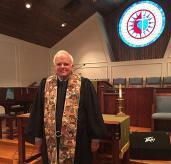 at 7:00am., with Revernd Bailey preaching, followed by a breakfast. Easter Service here at HFUM at 11:00am. 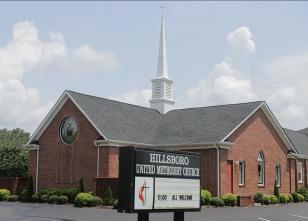 Welcome to the Hillsboro First United Methodist Church website. Sunday Worship Service at 11:00 AM. we encourage you to listen here to the sermon audio.